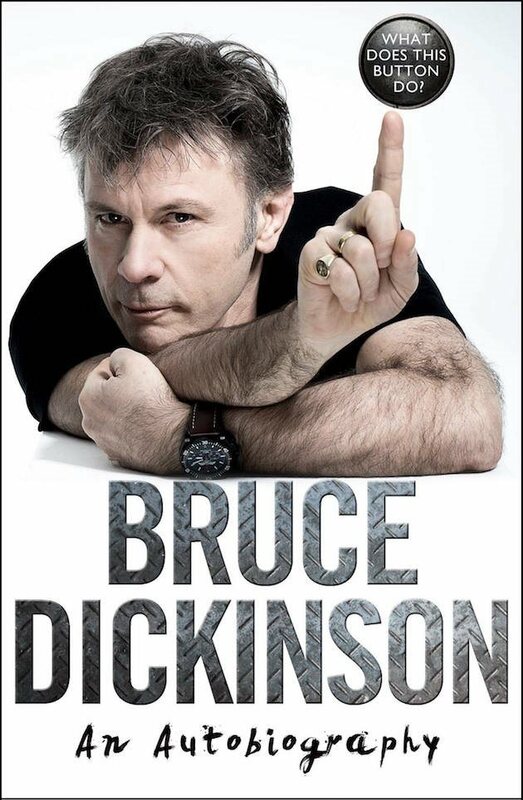 IRON MAIDEN singer Bruce Dickinson spoke to Newsweek about visiting the Auschwitz-Birkenau Memorial And Museum and memorial in Oświęcim, Poland during the band’s 1984 “Powerslave” tour. The museum and memorial, which occupy the site where the Nazis murdered approximately 1.1 million prisoners, preserve Auschwitz’s history through powerful exhibitions — display cases fill the blocks that once housed inmates and highlight everything from mounds of hair and shoes taken from gas chamber victims to suitcases seized upon deportees’ arrival, according to Smithsonian.com. “It’s a very spooky place,” Dickinson said. “The Polish guy who showed us around, he goes there all the time, and I was, like, ‘How can anybody do that?’ I couldn’t be there for more than a couple of hours. It really did my head in. You can smell the evil of the place. “What Does This Button Do?” last month landed at No. 10 on the New York Times “Hardcover Nonfiction” best sellers list. It was released in the U.S. on October 31 via Dey Street Books (formerly It Books), an imprint of HarperCollins Publishers. Following the massively successful global tour of 2016-17 in support of its 16th studio album, “The Book Of Souls”, IRON MAIDEN will take to the road again in 2018 with a series of arena and festival shows in Europe on the “Legacy Of The Beast” world tour, opening in Tallinn, Estonia on May 26 and finishing at the O2 Arena, London on August 10.